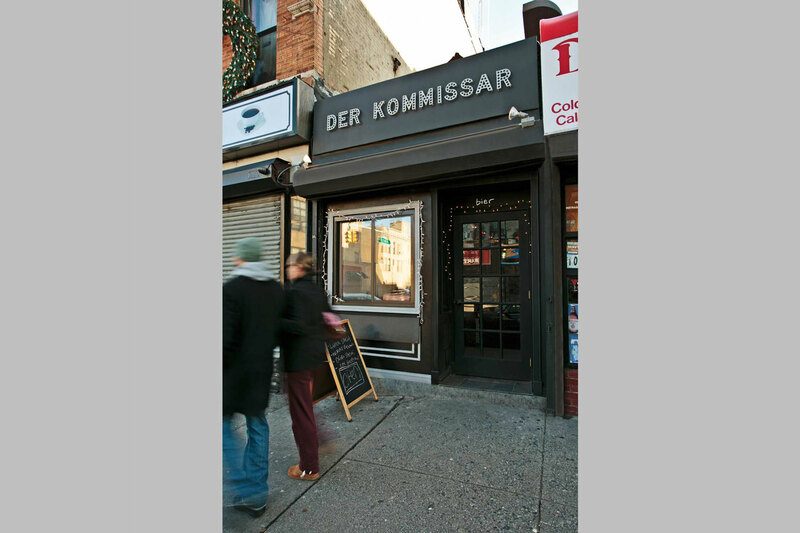 This small Austrian bar/restaurant in Brooklyn was given a complete interior gut renovation. Wood, exposed brick and clean lines complement its offerings of beer, bratwurst and all things Austrian. 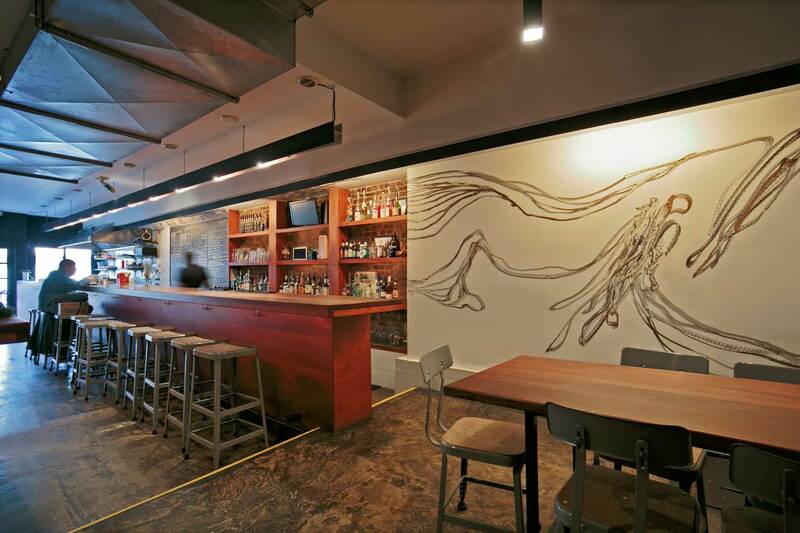 Above-head lighting runs the length of the bar and wall wash lights feature a local artists’ hand painted work. 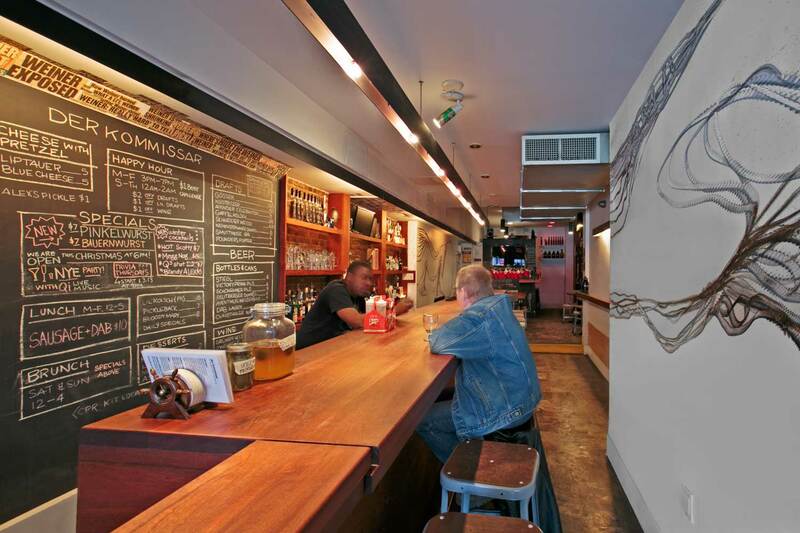 The rear of the bar is set apart by a change in elevation and is frequently used as a stage for live musical performances and community events.